When Is Your Living Trust Better Than a Will? Do you only have a handful of documents set up for estate planning purposes? If so, you’re like most people who don’t realize that your will probably doesn’t go far enough to protect your interests. Having a living trust is a great way to incorporate additional planning opportunities into your big picture to ensure that you’ve considered the whole scope of everything. 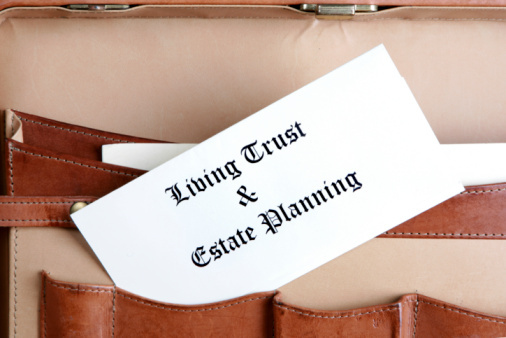 In some situations, a living trust is a better place to incorporate these estate planning concerns. Talking a lawyer begins this conversation and ensures that you’ve considered all the factors that belong in your ultimate trust. Once your lawyer has reviewed what you hope to accomplish, you’ll be in a better place to move forward with your entire estate plan. There is good chance that you might already have considered the basic benefits of having a will but a will is not enough if you need to accomplish these additional goals. A living trust or revocable trust many be a better tool instead. Living trusts were created specifically to fix the issues that are often tied to a traditional will. The first thing that makes a revocable trust different from other types of trust is that it can be changed or dissolved base on the wishes of the person who created it. Rather than having your estate go through the process of probate, wherein the court has temporary possession of all of the assets inside, you can use a living trust to ensure a smooth and seamless transition of these assets. You might be concerned that your final wishes surrounding property won’t be honored with a living trust. However, a trust is stricter than a will when it comes to ensuring that appropriate requirements are met. A trust can also handle more specific concerns that you wish to be carried out on a regular basis. Another benefit of a living trust is you can establish your inheritor trustee as your power of attorney. To put together a living trust, you will want to first discuss this opportunity with the help of an experienced estate planning lawyer. It makes sense that you want to pass on as much as possible to your loved ones. What’s even more important, however, is how you choose to do this. The timing of when you make a gift to a loved one can make a big difference in how your family member is able to manage that resource. The establishment of a trust is a popular tool for an estate planning strategy but if you’re not careful, it could end up being a big mistake. Putting together a trust when your children are relatively young, such as those under 6, might lead you to think that they can handle receiving large sums of money when they reach age 21 or 25. It can be a shock for many parents who have already put this plan into place to discover that the children are simply not ready to inherit such a large sum of money. If you’re not careful in how you structure your fund, however, it’s difficult to overturn this when the child reaches these milestones. Parents should consider delaying bigger portions of a child’s inheritance to allow a trustee to have greater discretion in distributing the money should your child need it sooner. It is not always easy to predict what your child may need in the future, but giving them too much too soon could actually make it more difficult for them to develop into adulthood and to protect their own interests. Using a trust that has flexible terms and scheduling a consultation with a Virginia Beach estate planning lawyer who can walk you through this process and advise you against some of the most common mistakes is strongly recommended. A trust is a legal way of managing, distributing, and holding property. 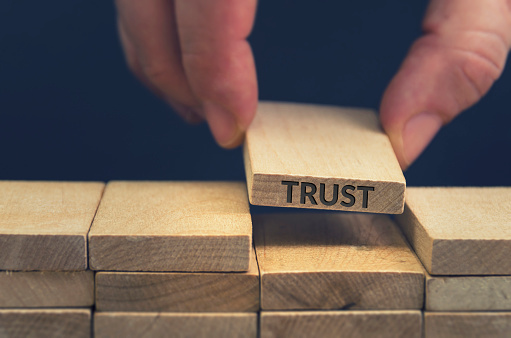 The selection of a living trust is very popular, but you should always understand what is needed to ensure that this trust is valid. In order for a trust to be effective and valid, it needs to have four different elements. First of all, there must be assets. Secondly, there must be a person who has created the trust, often referred to as the grantor or the trustor. Another person must be named in order for the trust to be legally effective. This person is called the trustee and this individual manages, holds, and distributes the assets. Finally, in order to put together a properly structured trust, the trust must have a purpose and it must be funded. The person for whose benefit the trust is created is referred to as the beneficiary and you may have more than one beneficiary depending on your unique estate plan. 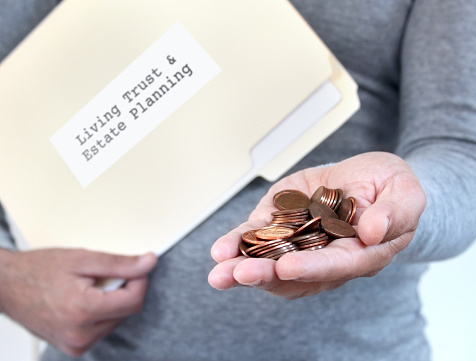 Living trusts can help you avoid the probate process and for this reason are a popular tool for a number of different people who are looking to have a comprehensive estate plan. Scheduling a consultation directly with an experienced lawyer is the only way to figure out whether or not a living trust should be part of your estate plan and which or your assets should be placed inside it. A living trust is titled in this manner because you can change it or revoke it over the course of your life, giving you maximum freedom and flexibility. Call a Virginia estate planning lawyer today to learn more. 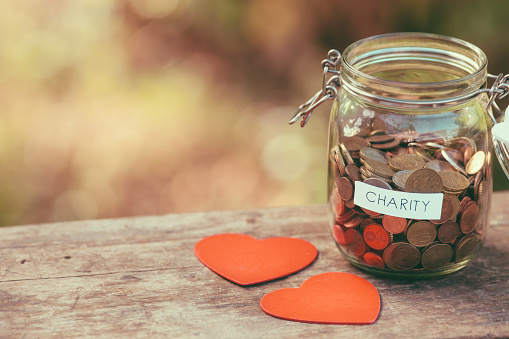 Should You Consider Using a Charitable Lead Trust? Do you want to leave behind a legacy for charity in addition to accomplishing your estate planning goals? If so, read on to learn more about the options available with a charitable lead trust. A family that intends to give to charity while also minimizing estate and gift taxes should consider all possible strategies recommended by an experienced estate planning attorney. A charitable lead trust may be one such tool that is effective for families looking to accomplish this goal. These trusts work the best in a low interest rate environment so the present conditions for taking advantage of a charitable lead trust are favorable. Interest rates may have increased somewhat over the last couple of years but are still historically low. There are two major types of charitable lead trusts. The first is known as a charitable lead unitrust, which pays out a set percentage of the assets inside the trust recalculated on an annual basis. The second type is known as a charitable lead annuity trust which makes annual payments to the charity associated with a fixed percentage of the initial value of the trust assets or a fixed dollar amount. Consulting with an experienced estate planning attorney can help you identify which one of these options is most appropriate for you and how you can accomplish your estate planning goals using tools like charitable lead trusts. You may also have heard that a living trust is referred to as a revocable trust. This means that you are eligible to update it or cancel it over the course of your life. As the name suggests, your living trust is effective over the course of your lifetime, meaning that you can also transfer assets into it to protect you even when you are incapacitated. There are four critical things you should keep in mind as you put together a living trust. Make use of power of attorney documents such as a financial power of attorney or a healthcare power of attorney to appoint someone else to make decisions on your behalf if you are unable to do so. Transfer all probate type assets into this trust using a letter of instructions. Legal guidance should be used for any complex property moving into the trust. Consider using a pour-over will. The only way to avoid probate is to ensure that the property is inside the living trust when you pass away. A pour-over will can assist with this process. Select the right trustee. You could name an individual or a corporate trustee to serve in this role. 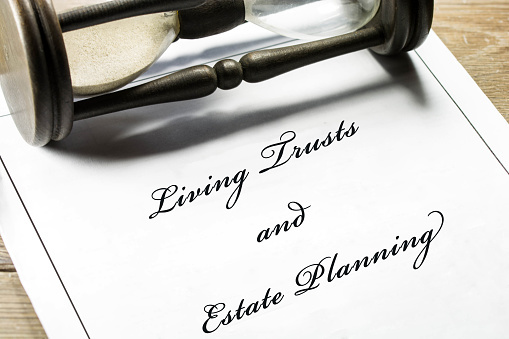 A living trust can be used to help many different estate planning situations, and working with your lawyer regularly to ensure that all your estate planning strategies are in line with your needs is important. Consulting with an experienced estate planning attorney in Virginia is strongly recommended if you intend to use living trusts as part of your process. Most people probably know, or strongly suspect, that they need a lawyer when it comes to planning an estate or setting up trusts. But how should they go about selecting one? A recent web posting at trust-estate.lawyers.com offers some helpful pointers. The author of the article cautions that it’s easy to be fooled into thinking a lawyer has more knowledge and expertise in given areas than is actually the case. But, the story points out, that need not necessarily be a deal-breaker. “Unfortunately, there are some attorneys who hold themselves out as experts in trusts and estates, but who have little or no experience in this area of practice. If one of these attorneys offers to draw up your will or trust, he or she will probably just plug your information into a software program without really knowing the details about the law or what effects it might have on your estate. The article recommends doing research in advance once a list of potential lawyers is selected, including visiting his or her website; contacting the state bar association to make certain they are all in good standing; speaking with other people about their experiences with legal representatives; and checking up on certifications. There is no easy way out, certainly no simple way out, when it comes to estate planning. As the American Bar Association website points out, in all likelihood the do-it-yourself estate planner has a client who could use better advice. Far from being the more expensive option, the ABA says consulting an attorney can actually be the less costly alternative in the long run.